The theory offers engaging explanations of concepts with important points highlighted through Plancess Concepts and Problem Solving Tactics. 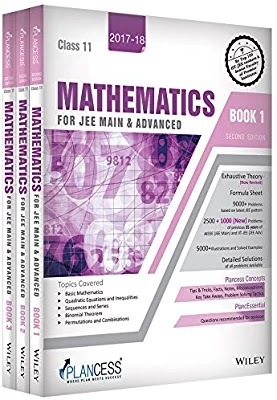 The application of the concepts is explained by means of Illustrative Examples after every concept and problem solving skills are further enhanced through solved examples of JEE Main and JEE Advanced levels at the end of each chapter. Extensive and classified assessment (JEE Main & Advanced and Boards) along with the questions from previous years papers of the target examinations, offers the aspirants a competitive edge in preparation. This study package thus provides a single solution for all the preparation requirements. can you please upload arihant maths.